I love auctions, it used to be something we did every weekend and became our date night. But life gets busy and priorities change. While I can’t always go with my honey, I can still buy online! This Victorian style dresser was a good buy even with it’s broken imperfections. I’m drawn to the broken pieces that your average antique dealer would pass up. 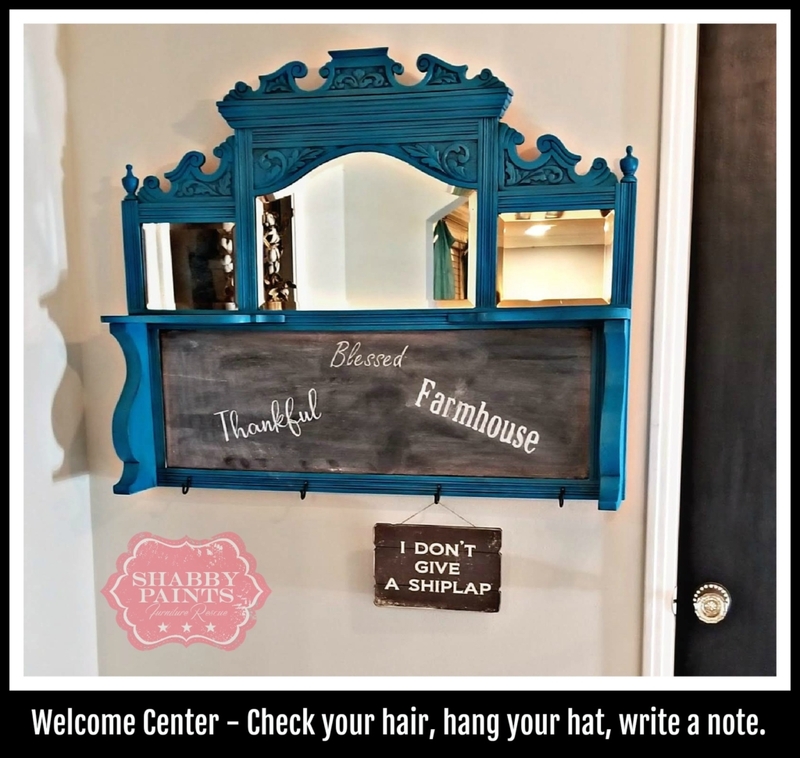 Welcome Center – Check your hair, hang your hat, write a note. Bold farmhouse inspired welcome center. Now the unfun part is over….let the fun begin. This beauty was painted with 2 coats of our new color Armour. Yes it was that easy! Protection – Never Buff again! 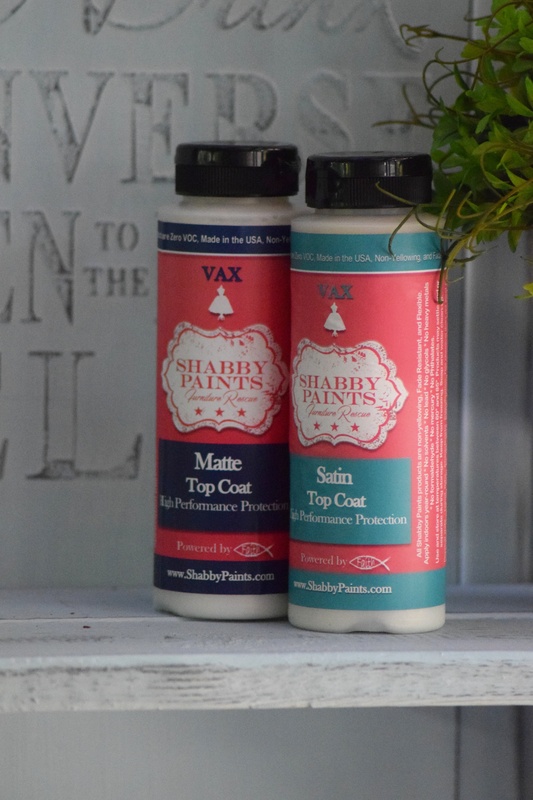 Before glazing I highly recommend sealing with matte or satin VAX first. It makes glazing or aging with reVAX so much easier. It gives you more time to work and easier to erase mistakes. It also protects the entire piece. I applied one coat, all over with a cling on! brush. Age, Glaze, Protect and Stain with one product! 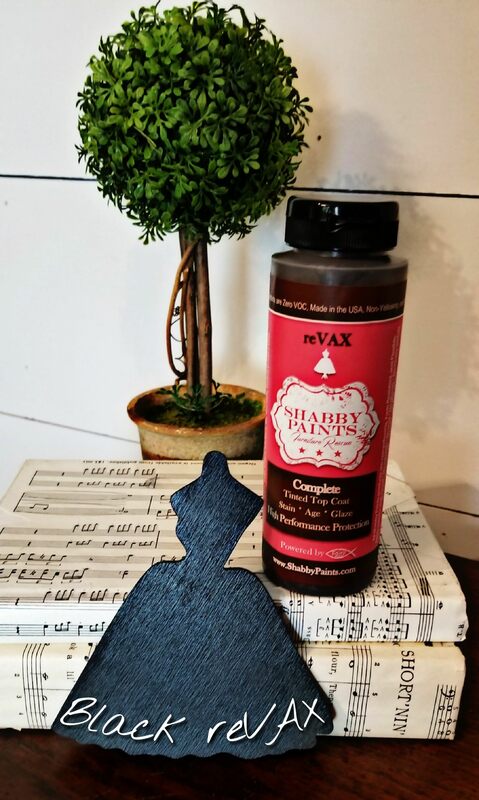 Apply reVAX, working in small sections, being sure to get it into the details, then wipe away with a damp rag (I use damp wash rags). This beautiful mirror had a heavy “broken” slab of marble in it. It was ugly so no tears over finishing it off with a hammer. To create the Chalkboard, I cut a piece of Luan to fit where the marble was and painted with Licorice. 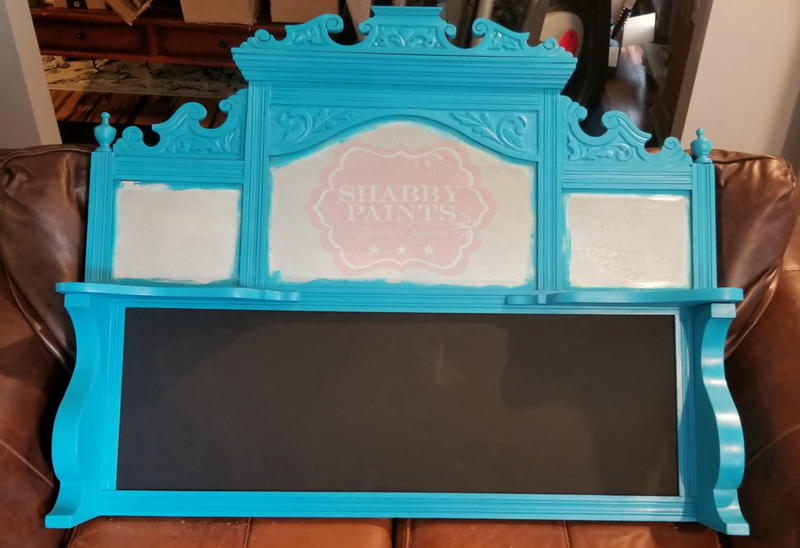 *Note-Any Shabby Paints colors left unsealed create a beautiful chalkboard. 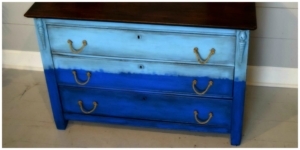 To finish the perfect little welcome center, pre-drill holes and attach cute little hooks. This way, you always have a place to hang your hat! 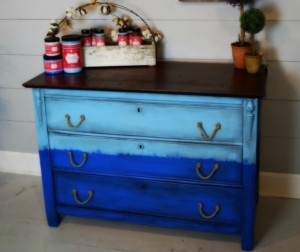 I’m not sure what to call this dresser, it has been inspired by a lot of different techniques and styles. I rarely give myself permission to just go for what is in my heart but, I did with this one. And let me say it was fun. 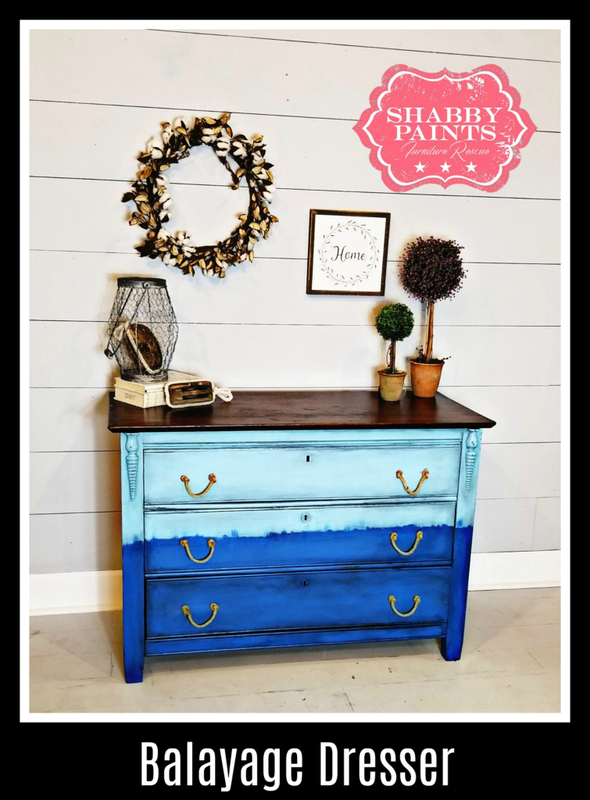 Let’s call this a Coastal Balayage dresser. I loved it in all its worn, damaged glory. I did finally decide to apply a thin coat of Hazelnut reVAX with a VAX applicator sponge. OH NOOO WE HAVE A BLEEDER! 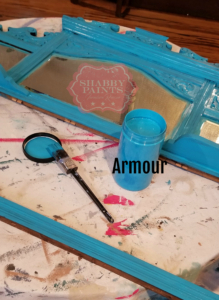 First I applied a coat of Blessed Blue on the top half. This revealed a bleeder, yeap the tannins wanted to rear their ugly heads. I decided to stop, let what I have done dry and then apply two coats of VAX over the entire dresser to stop further bleed through. Now back to painting, two coats of Blessed Blue on the top half. Yay, no more bleeding! 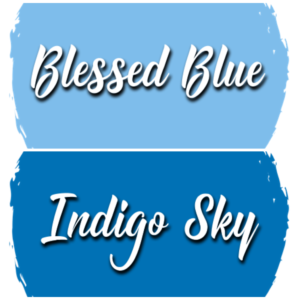 Next I applied two coats of Indigo Sky on the bottom half and I feathered the Indigo Sky where it met the Blessed Blue. 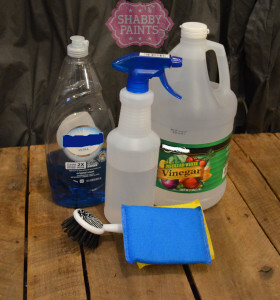 I applied a coat of Matte VAX using a VAX Applicator Sponge to protect. I decided at the last minute to do a little aging with black reVAX around the edges and areas that would get the most use. 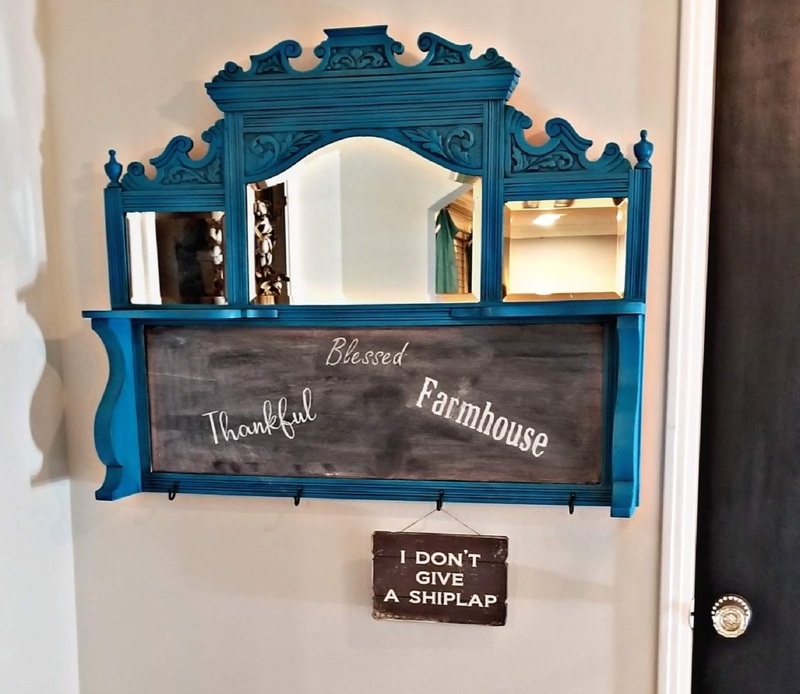 Hardware debacle….The original hardware was damaged and after a trip to Hobby Lobby I couldn’t find anything to fit or that honored this beauty. Luckily posting in our support group is such a great way to get and share ideas. Thanks to member and Rescue Rep. Scottie of www.SavedbyScottie.com for suggesting I use ropes for pulls. Wow what a time and money saver. Perfect! !